This article is based on How to make money with affiliate marketing? How to increase our affiliate marketing sales? If your are running any kind of business which relates with affiliate programs then you have to follow these strategy which I am going to discuss below. Basically, the question arise- What is affiliate marketing? Well, the answer is here.. "Affiliate Marketing is one of the best ways to make and earn quick money online. Affiliate earnings test your marketing skills online. But due to the increase in competition, most of the bloggers can earn only a tiny amount from the affiliate products. Guest post is very important if you really want to gain more and more traffic to your site. 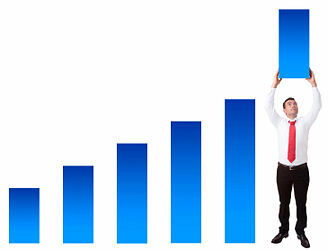 Also it helps to increase your affiliate marketing sales. Do guest posts on other good ranking blogs/website. By guest articles peoples get attracted towards your blog and your products. Well, the second point is Social Media. Yes! I know everyone is very much aware with social media strategy. But its my duty to recall it once again. You can use various social networking sites for the promoting of your products. You can use Facebook, Twitter, LinkedIn, YouTube, Google+ etc. Build good relationship with your customers. Remember if really want to increase your sales then you have to maintain good relationship with your readers and audience. You can also offer giveaways and gifts or we can say special items to your readers and audience. Build healthy relationships. You have to show some great Top Selling Products on your blog/website if you want to attract readers, audience, customers etc. Always place some better and unique products/items which helps you a lot. Keyword play an vital role in the field of blogging. Yes off-course if you are an freelancer writer than you have to know the game of keyword. You have to use rich and targeted keywords for your articles. You can upload your videos on the very famous social networking sites "YouTube". Always remember, people always use internet for learning new things. So without wasting too much time try to improve your writing skills and always write on new and hot topics.